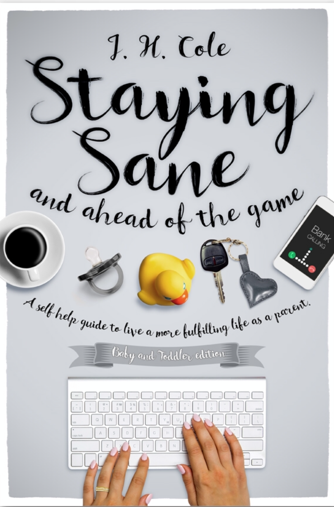 A self help guide to live a more fulfilling life as a parent. No matter how odd, exciting and enjoyable parenting is, if you find that you are still longing for the opportunity to achieve and experience more to life than just being a parent without taking any time, effort or dedication from your children then this book is for you. Here is a collection of suggestions, advice, tips and tricks to enable you to accomplish your goals at an equal measure of fulfilling your potential of a being a great parent – and enjoying it along the way. If you are a parent who doesn’t have the time for books filled with motivational quotes and (not so) inspirational narratives about other people’s ‘journeys’ – but you are a parent who wants the information that will help you get positive results today – then this is the book for you. I’ll be keeping notes of all future successes that have helped ease the pain of parenthood so stay tuned for my up and coming books Staying Sane – Ages 5-12 edition and staying Sane – Teenage years! So that we can go through the journey together. Along the way if you have any tried and tested tricks of your own please don’t be selfish and share them with us using the details below! We parents need all the help we can get!